Why is selling your home so darn EXPENSIVE? Isn't this the "Information Age?" Doesn't everyone today simply search for homes online? Of course they do!!! There I said it... what you already knew. According to the National Association of Realtors, 95% of buyers look for homes on desktop and laptop computers, 52% use phones and tablet apps, 92% use real estate agents. What are all of those buyers looking at when their online or working with real estate agents? THE MULTIPLE LISTING SERVICE! Simply said, listing your home with any real estate agent! will place your home on the Multiple Listing Service (MLS), which immediately puts your home on well over one hundred thousand websites automatically, and gets you all the exposure you need. Every agent on your local MLS service agrees to freely share all information about their respective listing with everyone else on that MLS.s. Also the MLS is syndicated, meaning all of those homes are also shared with all the national websites, like realtor.com, omes.com, Trulia, Zillow, etc., etc.). 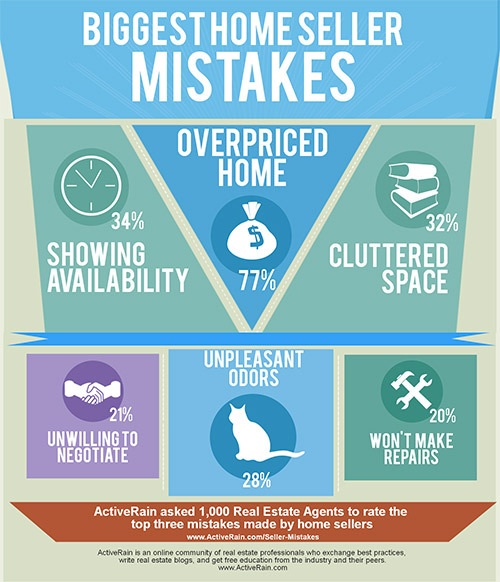 95% of buyers are using desktop/laptopsreal estate agents = 5% are not searching on the MLS. Realistically... I think the 0.2% is even too high. If you're not going online to find homes, your using an agent. I say it's effectively "0" not using the MLS in some way to find homes. So that means, if ALL BUYERS are in some way searching for homes on the MLS, then the exposure part of the listing agent's job is done. Wouldn't you say? My personal opinion after 20 years in real estate? Listing your home with a Realtor will get you full exposure of your home to ALL real buyers in the market. IF that is true, why are sellers paying the same high listing commissions that they paid 30 years ago, when agents had to work so much harder to expose their client's homes? They had to put up open house signs every weekend, publish flyers and staple them to telephone posts, and pay tons of money for ads in the local newspapers and real estate magazines. Other agents will promote all these extra creative ideas on how to expose your home for sale, but seriously... if all buyers know all they have to do is go online and plug in their search criteria and get all the information they need, are all the extra bells and whistles worth paying a full commission? Other agents are welcome to have their own ideas, and I respect them for their opinions. My opinion is simply different. I believe sellers are paying extra for a lot of "FLUFF," when their homes are already fully exposed simply by being on the MLS. Truth is that most of you sellers have always believed this... I'm saying I believe it too! If you want to literally SAVE THOUSANDS of dollars and still get your home exposed to the world, call me. I'm not going to pretend my talking sign, or craigslist ad, or email blast (spam) to thousands of people that honestly are not in the market to buy your home, is worth paying a thousands dollars extra to your real estate agent. Get honesty... get the exposure you need... and GET YOUR HOME SOLD... FOR LESS! Call me and ask how much money I can save you. "Area knowledge, experience, technology, accessibility - all excellent! Love all the online photos on your site too, they were fantastic. Web presence was also fantastic, you really marketed our home well online. Everything was great." "The AtlantaPros Team provides constant quality advice and professionalism. Her greatest strengths are market knowledge and marketing strategies with a positive 'can do' attitude. Always delivered more than promised. If you want the best agent in Atlanta - I know her. It's The AtlantaPros Team!" "The AtlantaPros Team knows what needs to be done to market a house. It's a great team with staging, photos, video, and open houses." While we work to get your home exposed to the absolute most home buyers possible, we hope you will be watching out for road blocks to a successful sale that you may have control over. Below I have hundreds of pages that I've created over the last 20+ years to help my Atlanta home buyers and sellers.